It’s that time of year again. 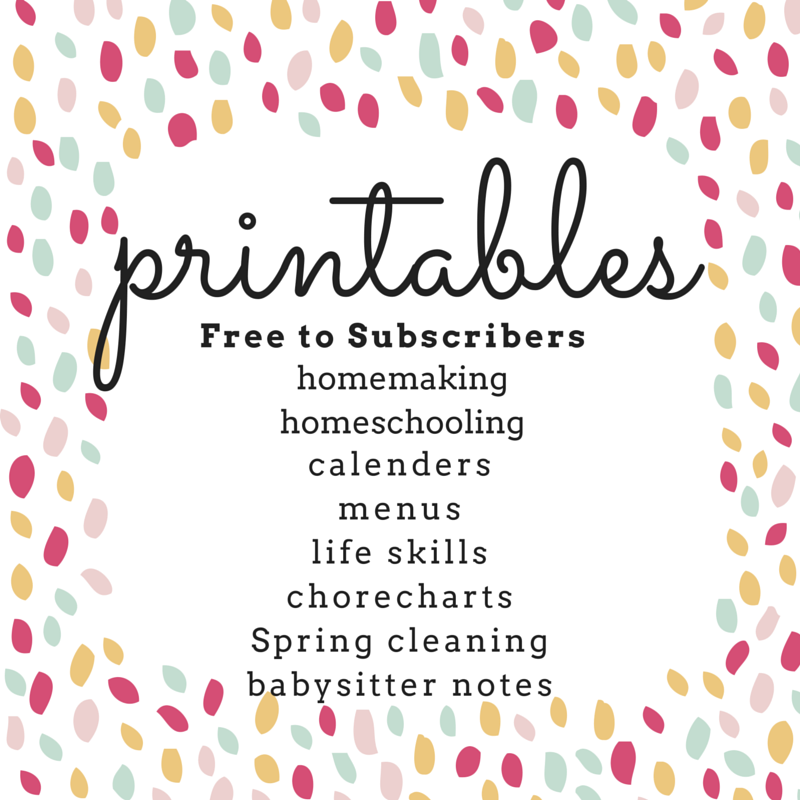 You know, the time when we scurry around trying to get organized before the next school year – that school year which is waiting to start right around the corner. Wow, this Summer went by fast. 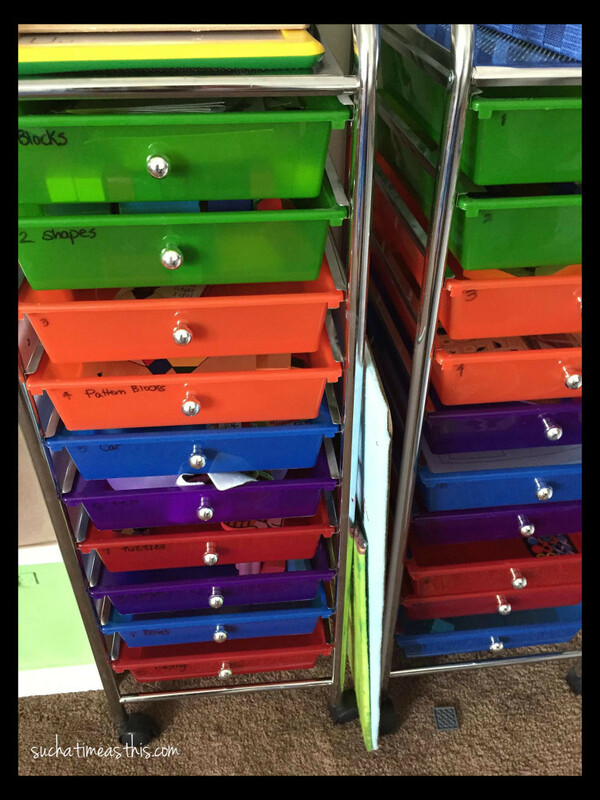 Well, I had been thinking for a while that I needed to organize our school supplies. What better way to organize than to move everything to a new space? 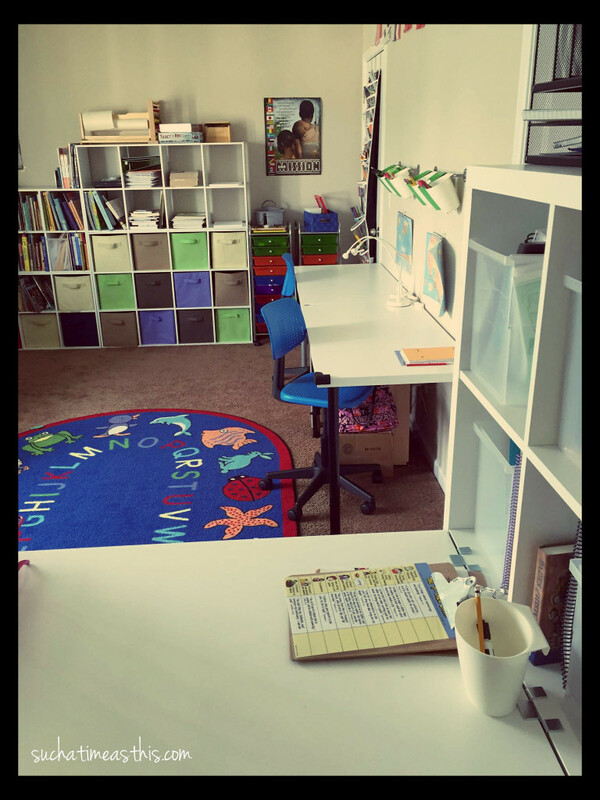 Our last school space had been taken over by babies, toddlers and preschoolers. Nothing was safe anymore, least of all the writing utensils. They had been swiftly captured by the 3 year old. This is a very bad thing, as the countless boxes of Magic Eraser, microfiber cloths, dishsoap and water I’ve poured on our walls can attest. We decided to move our stuff to a (mostly) unused bonus room in the finished attic. I wanted to share how it turned out with you all. Almost all of the room is inspired by or directly from Ikea. I have to admit, I’m a bit obsessed with Ikea and the way they create complete organization in such small spaces. 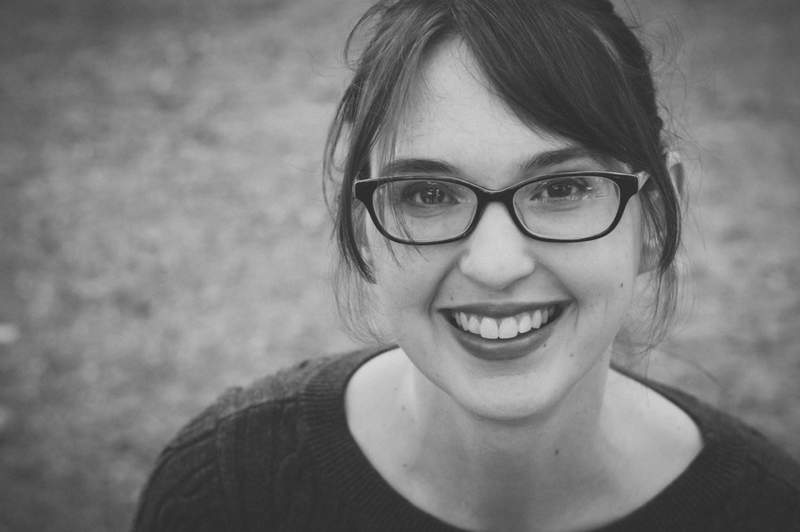 I am very enthusiastic about organization – even if I rarely pull it off in real life. 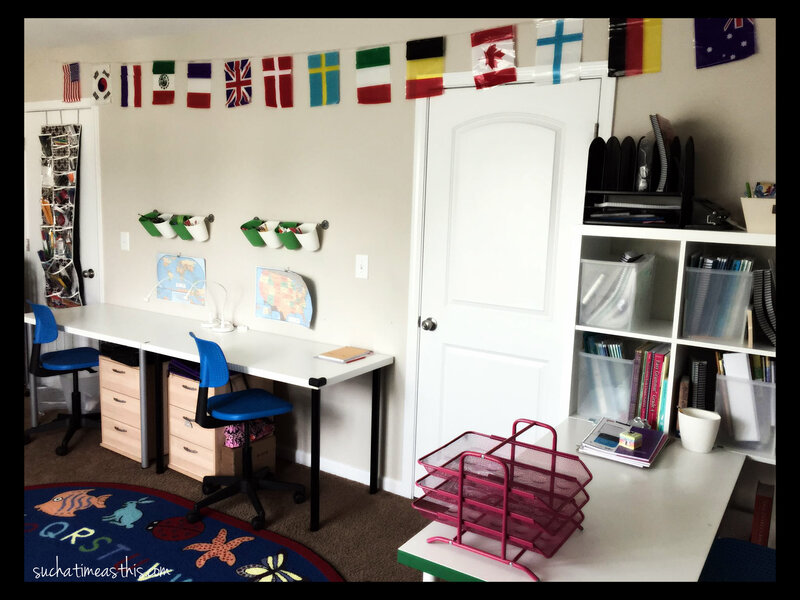 Now, I present to you our new Ikea Inspired Homeschool Room! Chairs (above) are from Ikea, PÖANG in Natural. Bygel containers (close up below) are wonderful for holding pencils, colored pencils, glue sticks, tape, scissors and other small school supplies. This 10 drawer unit is filled with “extras”. 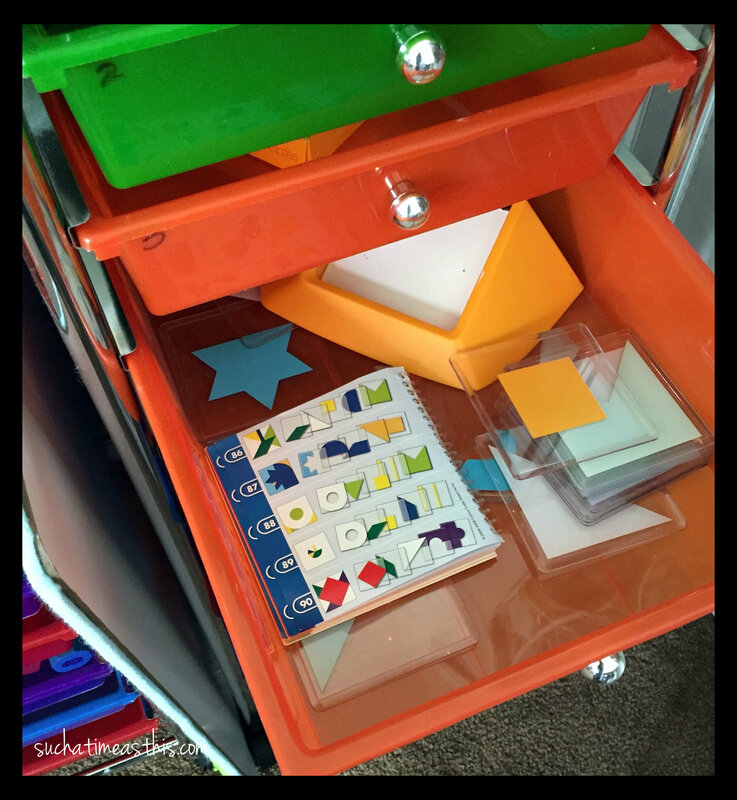 The drawer unit on the left is filled with preschool games and the one on the right is for the kids in grades 2-5. 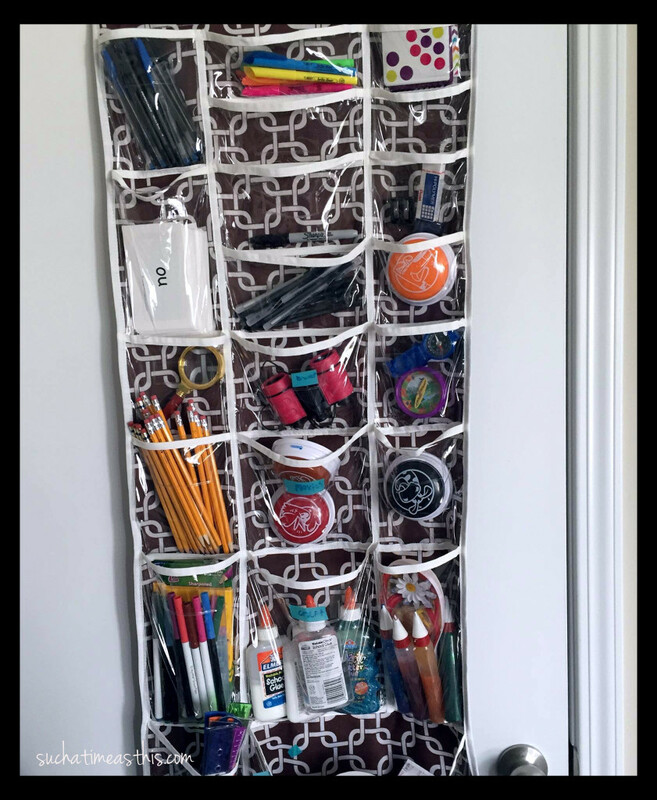 Over the door organizer from Simply Stashed holds all my extra pencils, glue, pens, markers, flash cards, magnifying glass and more goodies. 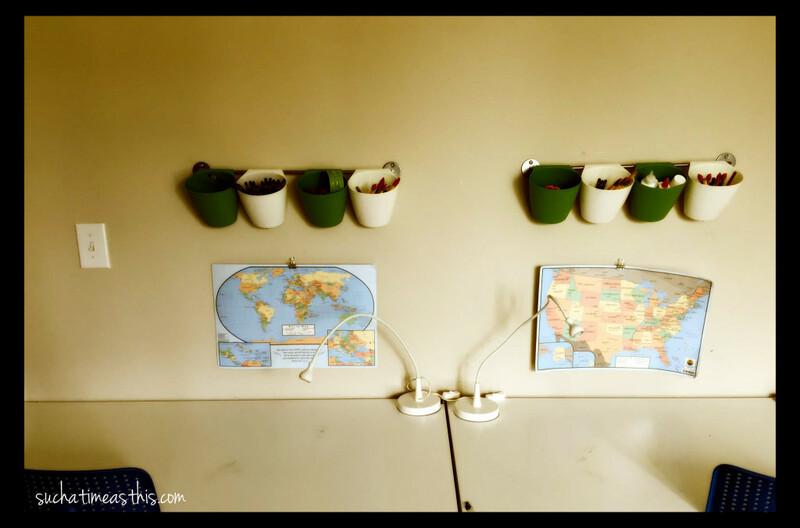 If you can see in the above picture, we have a big roll of art paper on our MÅLA Tabletop Paper Holder on top of the cubbies. 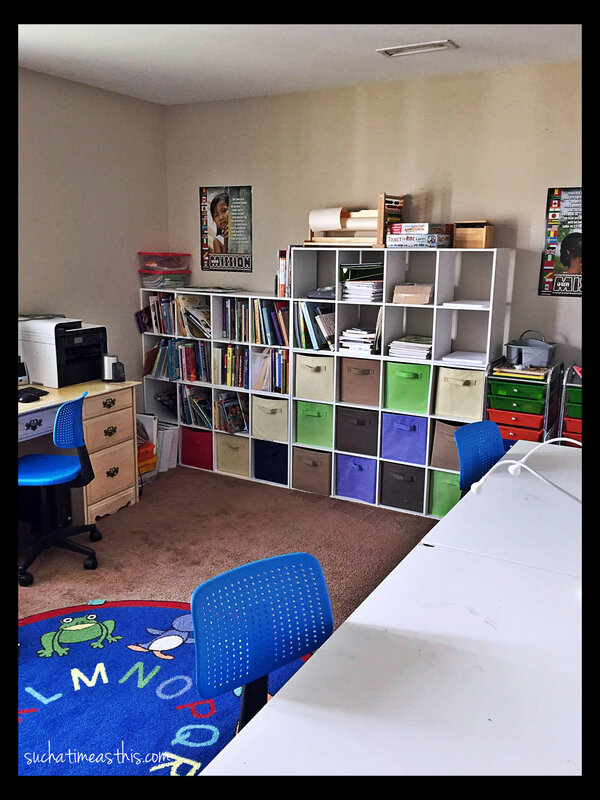 We also stack plain white paper, lined white paper, and paper that is half “drawing” paper and half lined – each in their own cubbies. 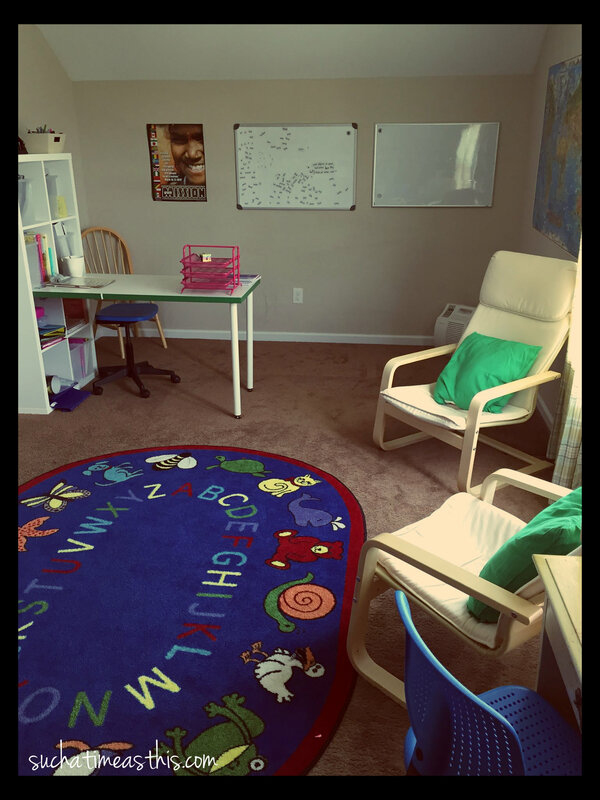 Outside the homeschool room is a small & cozy alcove that I thought would make a perfect little reading nook. So we hung Ikea spice racks (BEKVÄM) on the wall. 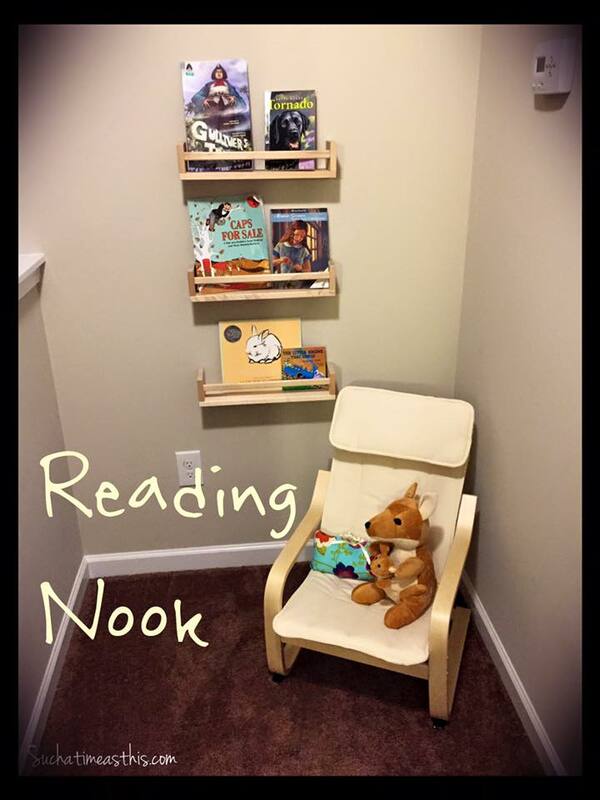 I found this idea on Pinterest and I really liked the idea of kids being able to see the covers of their books. It is much easier to choose and more visually appealing to see the covers instead of the spines! 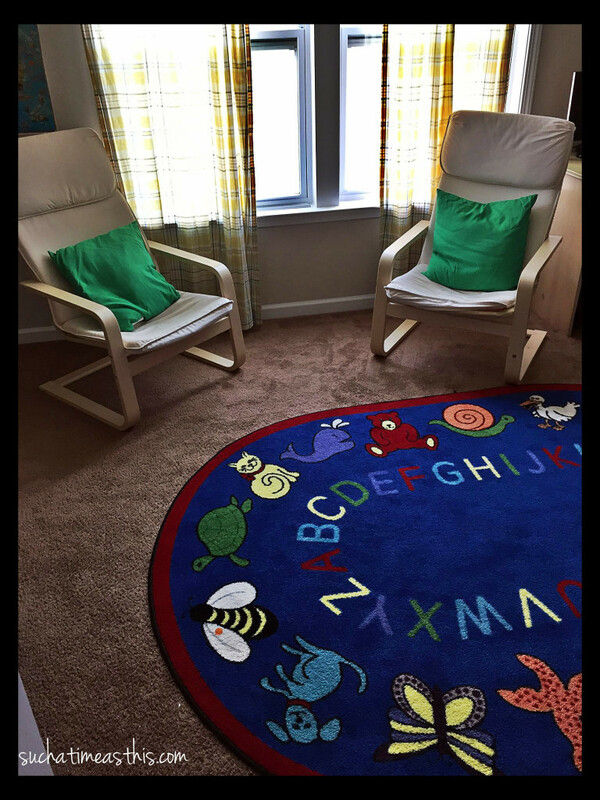 We completed the little area with another Ikea POÄNG Children’s Armchair. 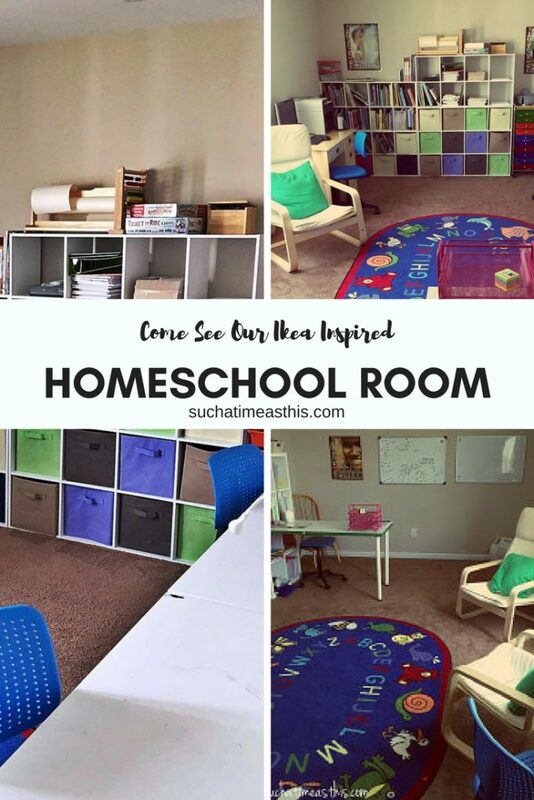 I hope that this helps you as you are designing or reorganizing your homeschooling space! 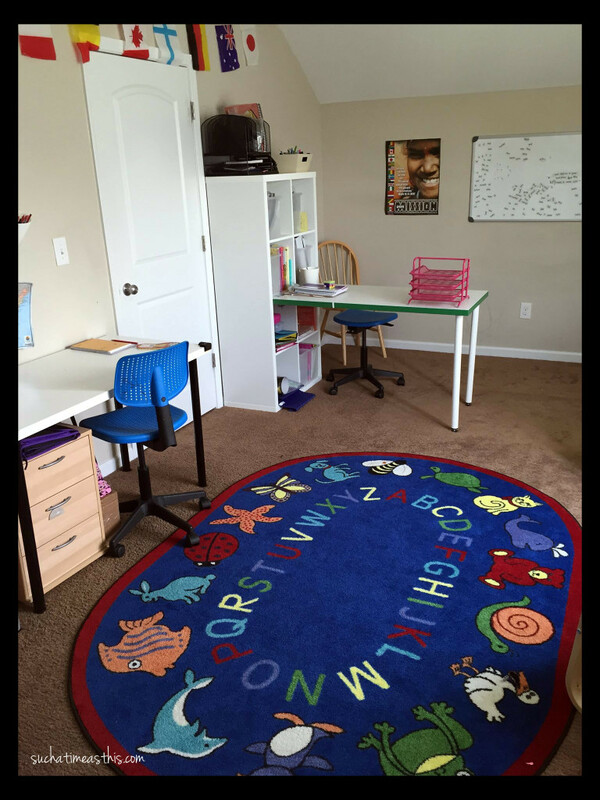 Do you use a homeschool room? I love it! Especially the KALLAX Workstation! Thanks for posting the specific names — I pinned for future reference. Are you happy with white workstations vs the high gloss workstations? Thanks, Lee! Yes, I love the white workstation. I haven’t tried the high gloss, so I’m not sure if there is a big difference. 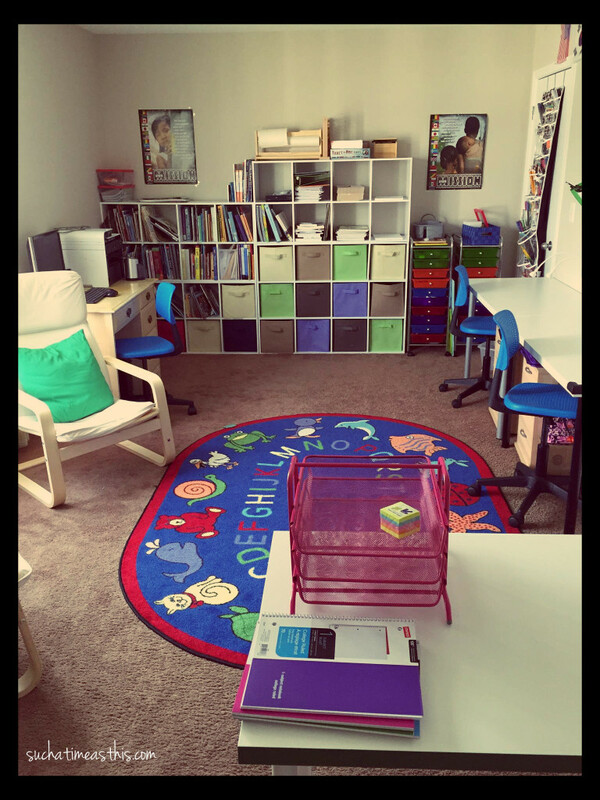 I like how my “teacher desk” fits all of the teacher books, lesson plans, and the specific books I’m using with each kid!